The US President Donald Trump has named Mina Chang, a 32-year-old Korean-American who heads an international relief organization, as the assistant administrator of the United States Agency for International Development. 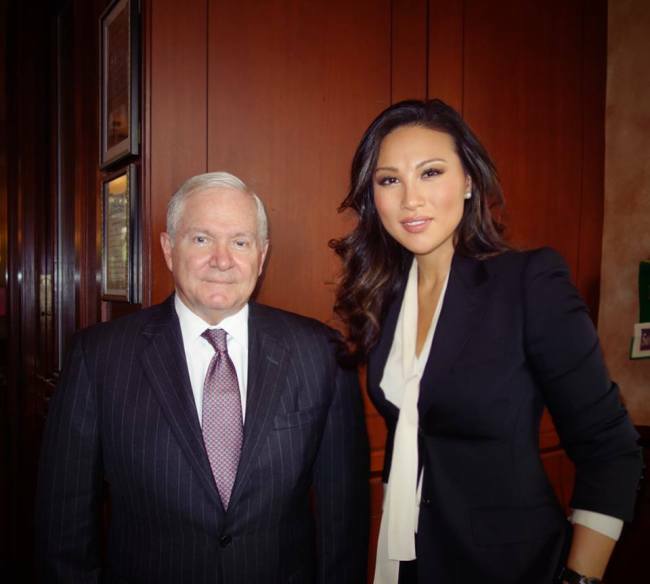 Mina Chang (right) stands next to former US Secretary of Defense Robert Gates. This photo was published on Mina Chang`s official Facebook on Nov. 12, 2015. According to a report by a Korea-American media outlet Thursday, Trump has requested the US Senate’s confirmation of the nominee. Administrators of the US federal government agency are officially nominated by the president and confirmed by the Senate. Chang is the chief executive officer of Linking the World, a nongovernmental organization that offers humanitarian aid to vulnerable communities around the world by bridging policymakers and practitioners in the field through research tools. She is also an International Security Fellow at nonpartisan public policy think tank New America. The Harvard Business School graduate was selected as the Harvard John F. Kennedy senior executive in national and international security in 2016.